Split Pine Technologies, a privately owned company located in Tallahassee, FL, offers cutting-edge technology services, security and solutions in North America. Specifically, Split Pine specializes in Anti Terrorism Force Protection (ATFP) integrated systems. 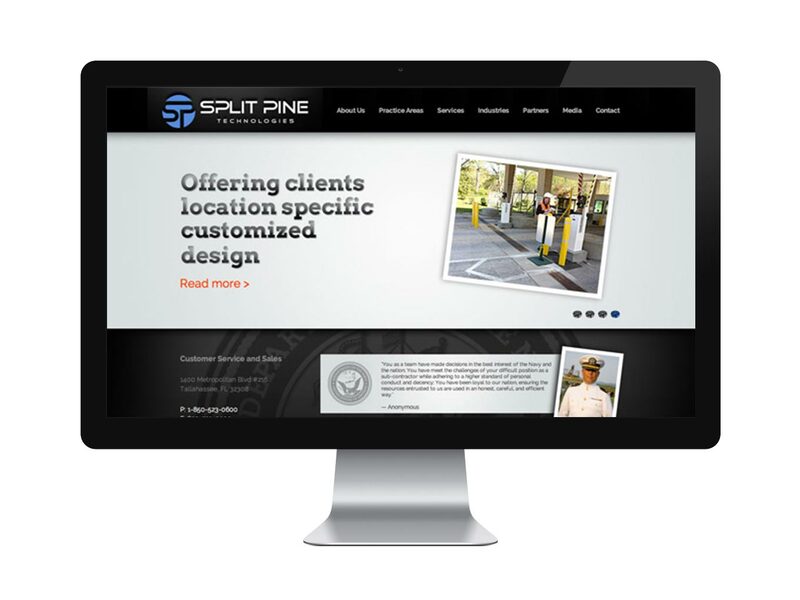 Due to the extensive government and military work this company does, it was important for a redesign of their website to appeal to these industries and clearly state what services and practice areas Split Pine serves. 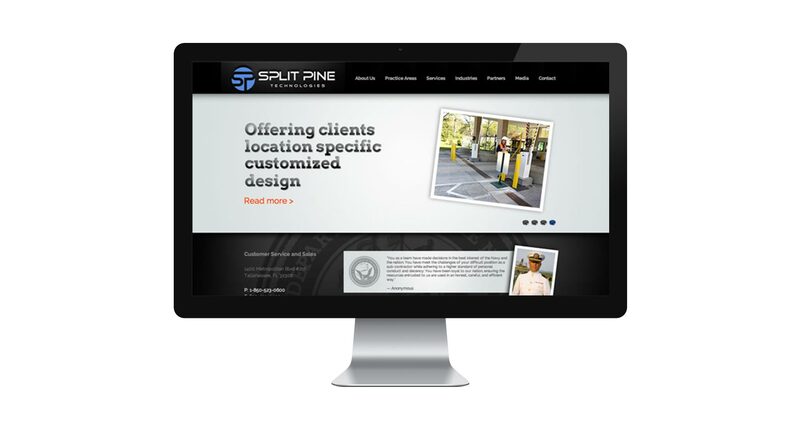 Their new website, completed in a CMS format, allows the users to add information and projects easily, and offers visitors a comprehensive look at their company. Previous Project Previous post: Sperry & Associates, Inc.